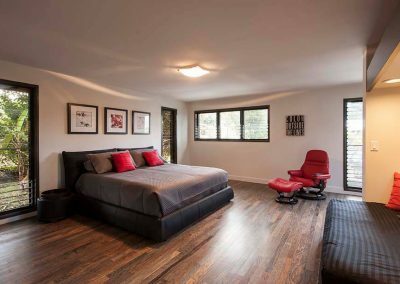 A modern classic 1960’s American Ranch Style home in Oahu, Hawaii is transformed into a contemporary Japanese inspired Zen home. 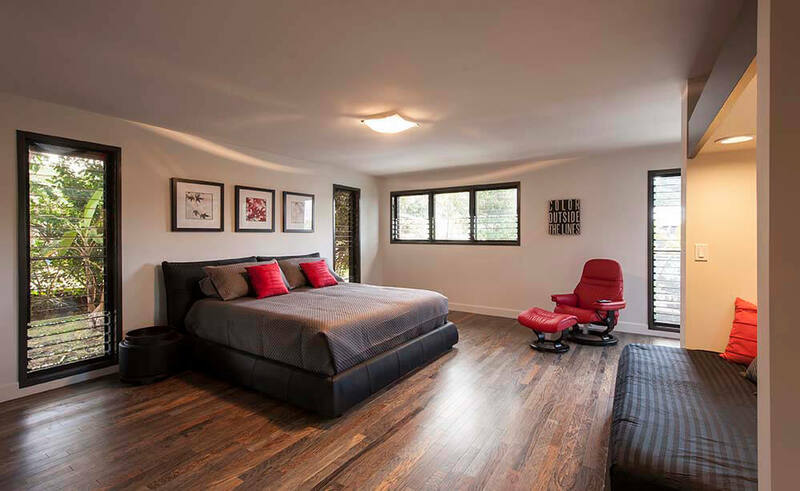 The home was remodeled by General contractor Alan Shintani Inc. and was awarded the AIA Honolulu “Editor’s Choice” Design Award earlier in 2013. 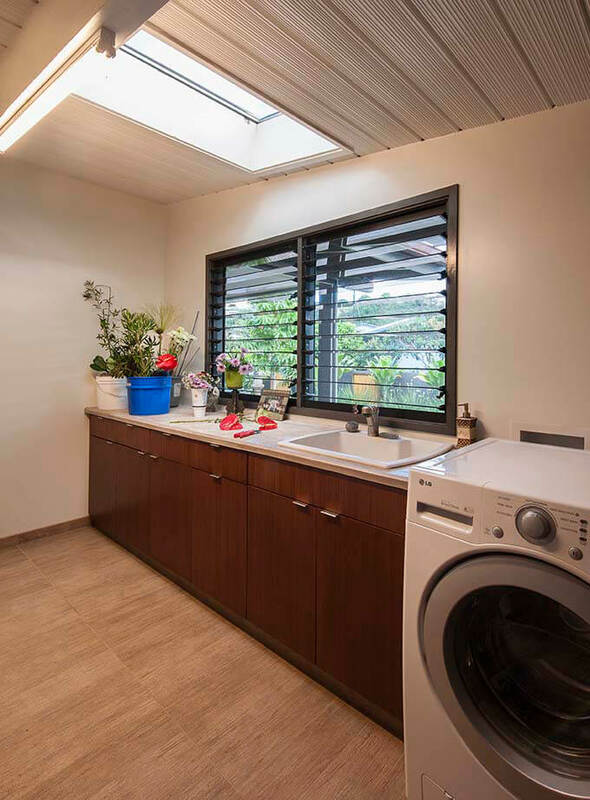 Breezway Louver Windows with tinted glass and standard handles have been installed in the laundry room. By incorporating louvers in wet rooms such as the laundry, it helps to quickly ventilate the room to avoid the build-up of mold or mildew. 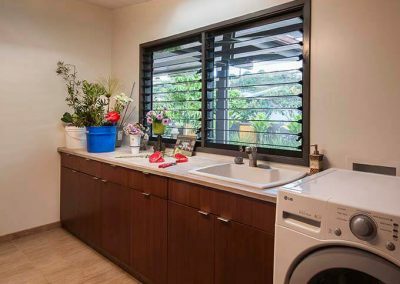 In addition to the laundry, Breezway Louvers have also been installed in the bedroom of this house in a number of different configurations. This allows cooling trade winds to be captured from all different directions to ensure the home is kept comfortable for building occupants no matter what time of day it is.